You're sure of a big surprise! Some people struggle to come up with good fundraising ideas for kids. But good children's fundraisers are not difficult. As always the best ideas are the ones that keep things simple. And for very young children what could be more simple than a Teddy Bears Picnic? This is a real cinch to organise and is a great way for pre-school and playgroups or parent circles to have some fun with their kids, and raise money for their chosen good cause. The picnic can take place indoors, in a hall or someone's house. Or outside in a garden or park if you can count on the weather. Spend some time on the invites to make them look really good. With a bit of cut and paste on the computer its not difficult to produce something really appealing. Try to address the invites to each child personally. Don't forget to remind them to all bring along their cuddliest Teddy! Its best to charge a fixed "donation" to attend. If your group is a friendly one its also possible to get parents to contribute to the picnic food too. 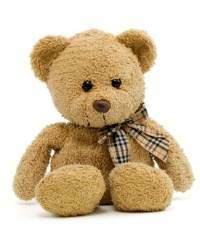 Like many fundraising ideas for kids a Teddy Bears picnic will not raise masses of cash. If you were clever however you could get other groups involved for a mass picnic. Or have the picnic as an extra attraction at the village fete etc. On the other hand you might just want to keep things small simple and have some fun with your kids and their bears! On arrival make sure that you give each child a little name sticker, and of course one for their bear! Get everyone sitting round on rugs with their bears. Younger children will probably want to sit on parent's laps. And tickle him under there! Ok so fundraising ideas for kids might involve being inventive and just a bit silly. But young children will love to use their bears to act out the songs and rhymes. Have some Teddy Bear shapes cut out of card. Get the children to colour them in and stick eyes etc on to them. When ready attach them to lolly sticks or craft straws. Have the Teddy masks ready cut and stringed. Have the children colour in their designs. Some children do not like full face masks you may like to do a variation involving teddy ears only. Time for everyone to put their own teddies down now. 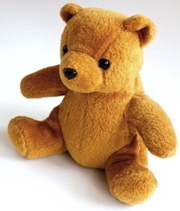 Sit round in a circle and instead of pass the parcel - pass the (special) Teddy. When the music or singing (if you are outside) stops, whoever is holding the bear wins a small prize. Make sure every child gets a prize. See if you can borrow a play parachute from your local school or youth group. If not use a blanket. Everyone stands up and holds the edge of the chute. Put the teddies on and toss them up into the air. Whose Teddy is going to go the highest? Simple sandwiches are best - cut them into interesting shapes with pastry cutters? Toddlers love simple finger food - cocktail sausages, grapes, cherry tomatoes etc. Little fairy cakes with pictures of bears iced on them or teddy shaped biscuits make for a perfect picnic feast. To drink- check with the parents but water or squash is usually fine. You can always call it Teddy Juice, Bruin's Brew or something similar. A great way to bring the picnic to an end. Get everyone standing in a circle with their bears. Then off you go. Use your Teddies to do the actions and have some fun. You put your Teddy Bear out. As the tired toddlers and their exhausted teddies leave your picnic thank them for coming and remind everyone why you have been raising money and who its for. You see.... coming up with great fundraising ideas for kids isn't difficult. Its a walk in the park! Do you have any good fundraising ideas for kids, or brilliant pre-school fundraisers? Share them with others around the world.